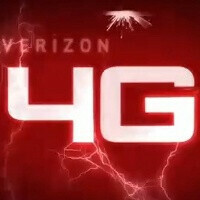 Verizon confirms 4G network outage, says it's now "returning to normal"
Verizon naturally wants people to know that their phones were still reliable as communication devices (technically smartphones do more than browse the web and play Angry Birds, they also let you call people in case of emergency). According to Verizon reps the network should be coming back up; Verizon only confirmed that their 4G network was impacted. It's possible that reports of 3G outages could have resulted from network congestion as 4G customers attempted to shift their data usage to 3G, or else be due to some local network issue. Are all of you Verizon LTE users seeing the 4G connection back up and running now? No 3G didn't operate normally. I was out 3G coverage for a good while this morning too. Could only make and receive calls and text. And it was awarded the MOST RELIABLE NETWORK......haaaa.....even with new equipment on 4G they still went down and fanboys always talking trash about AT&T.....!!! It is the most reliable network. Verizon never said, "WE ARE THE PERFECT NETWORK THAT NEVER HAS ANY ISSUES EVER." That's true.....is so reliable that users suffer TWO BLACKOUTS in less than 30 days.....!!!! You clearly don't like Verizon. Nobody cares. You clearly like to get screw by VZ and only you care dumb....!!! VZW outages are so rare, they actually right articles about it! That's a sign of how out of the norm it is, even with two outages in 30 days. Yeah, I hate getting 25mbps download speeds. f**kin' Verizon... screwin me again. I get more with my Samsung Skyrocket...so what....!!! they are when you get the bill and you used up that 5Gig cap in a matter of 3 hours. ATT had only one blackout this year so where are those 6 or 7....??? Maybe on your stoned a...z head, quit drugs they're not good fanboy....!!!! No 4G yet in Pittsburgh. I'm sure it'll eventually roll out to all cities as our SIMS re-authenticate to the LTE network. yes at&t may have outages here and there, but in my 3 + years working for the company I have never heard of the hole US data network going down. I'm not going to lie, thats awesome..
Yeahh 4billions is a lot of money but they got enough to buy you and you sorry a..z company......!!!!!! Why do people take this crap so seriously. People lash out in words cuz they can't by any other means, realistically. I bust their nads about crap cuz it eases the annoyance factor when this stuff does occur. Truth is LTE customers are a spoiled bunch who take their data speeds for granted these days. I don't think I'd be annoyed offered a better response than, datas down again, followed hours later by, it's back up. Haven't experienced any of the major outages. I'm running a stock Gingerbread Thunderbolt in NYC. Now getting a SIM Card Authorization Error - and cannot get to 4G... I wonder if this is related. Making a trouble ticket now.